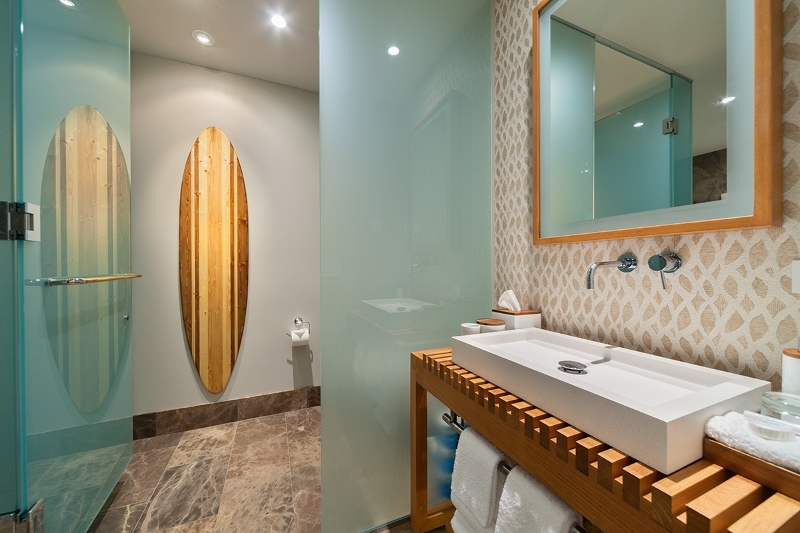 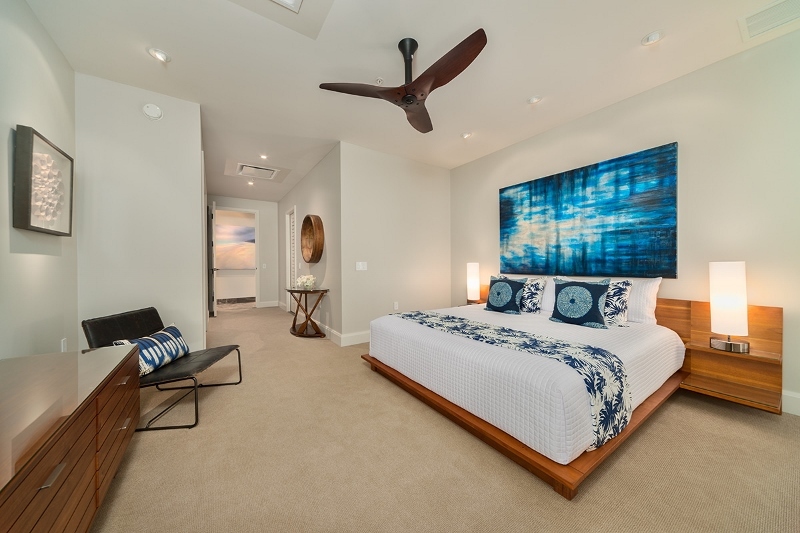 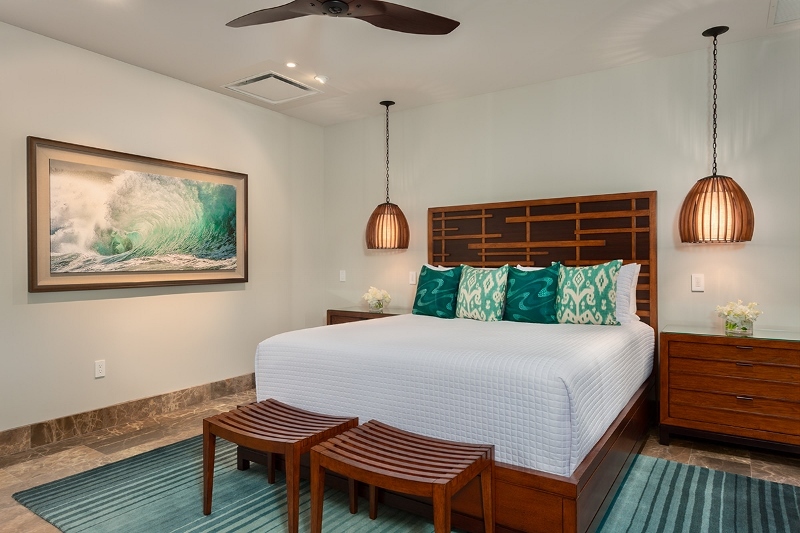 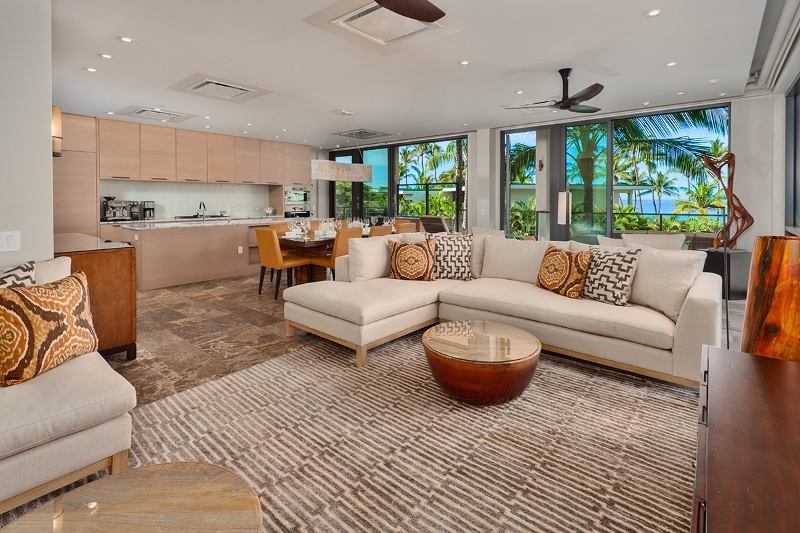 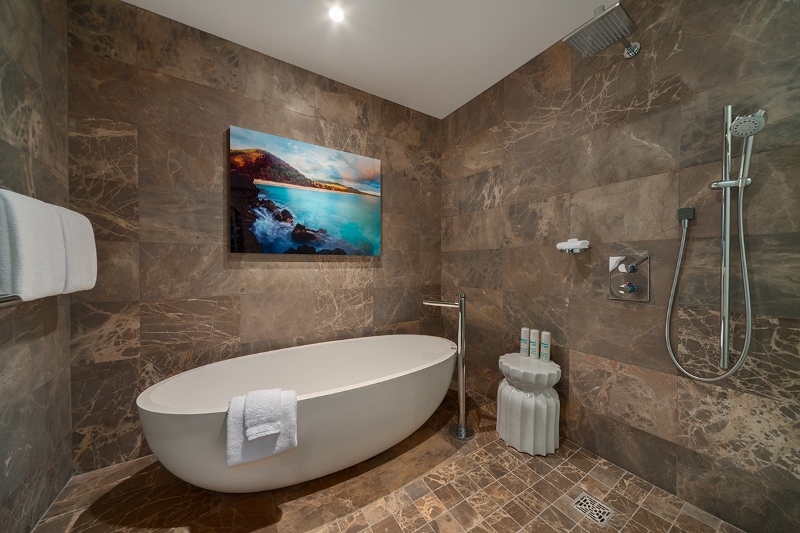 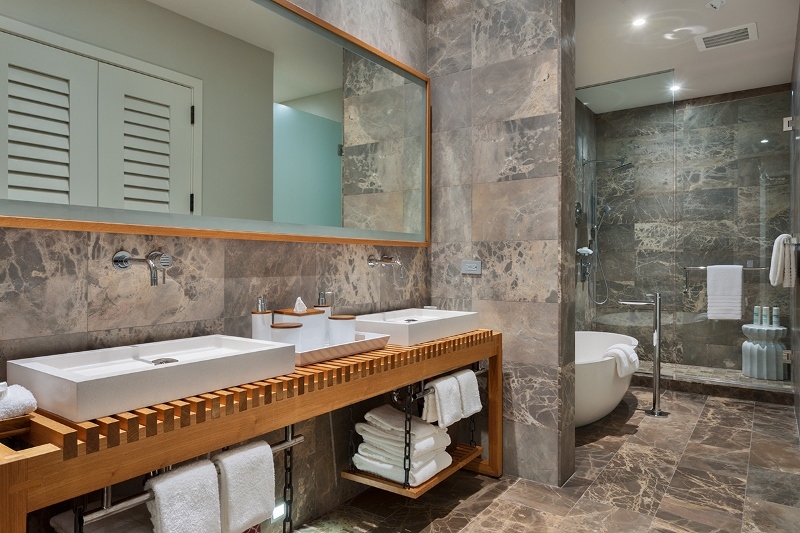 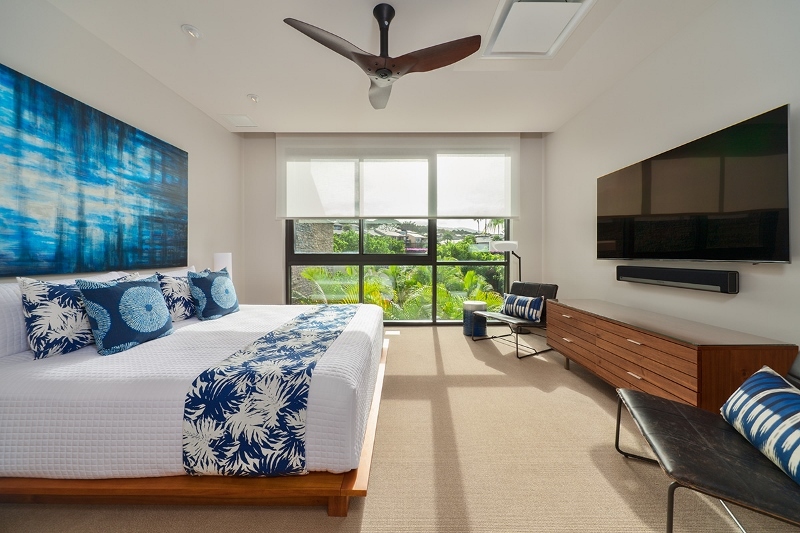 Andaz SeaSpirit Villa 811 – Luxury Vacation Homes, Inc.
SeaSpirit Villa 811 at Andaz Maui at Wailea Resort is a recently constructed, contemporary styled, privately-owned and independently-managed 3 bedroom 4 bath full ocean view second floor resort residence. 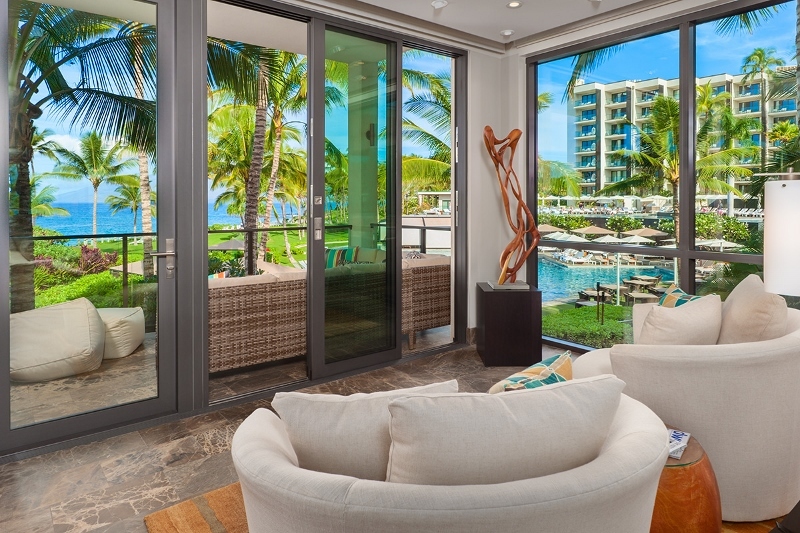 What makes 811 special is that it is one of the very rare privately-owned full ocean view villas. 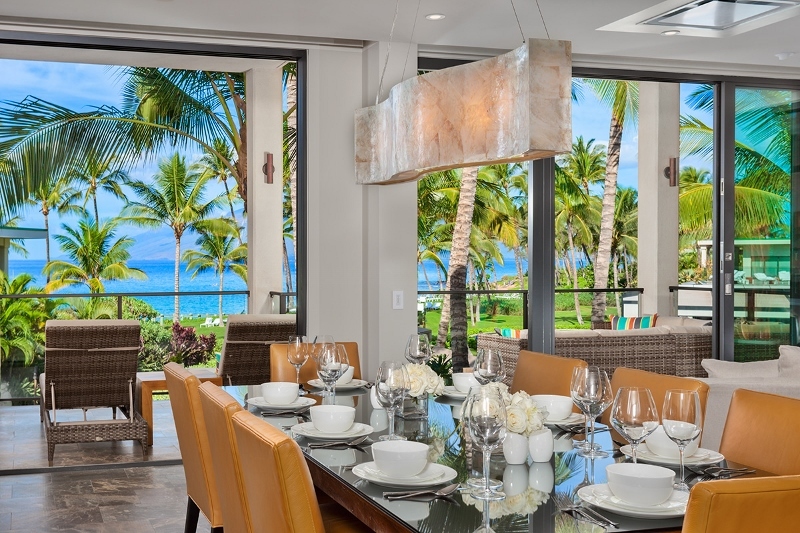 SeaSpirit is set in a prime location within the resort just steps from Mokapu Beach and the resort’s swimming pools and dining venues. 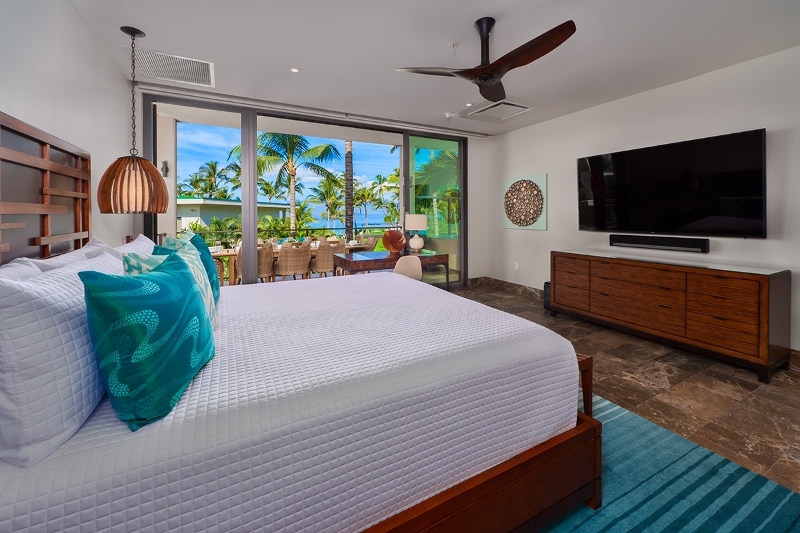 Experience this tropical paradise on the beach where you can rest and relax within SeaSpirit Villa 811, “Your Own Private Paradise”, with spacious surroundings, exquisite appointments, and very generous amenities. 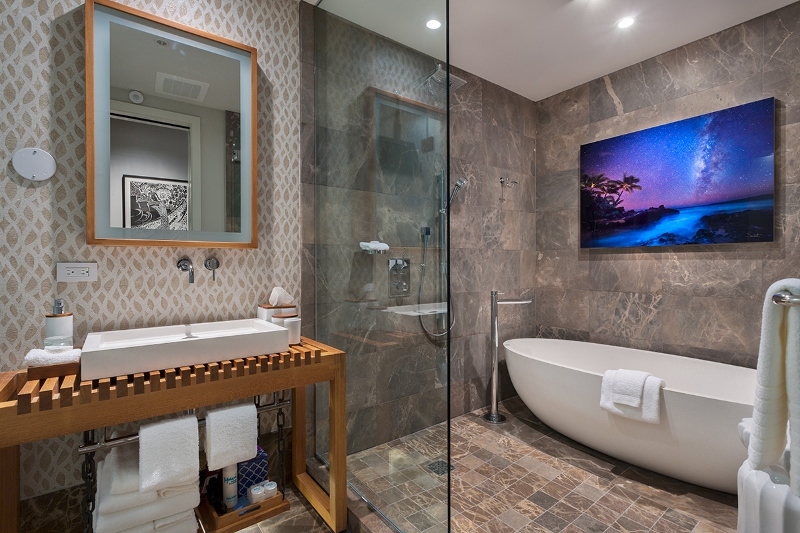 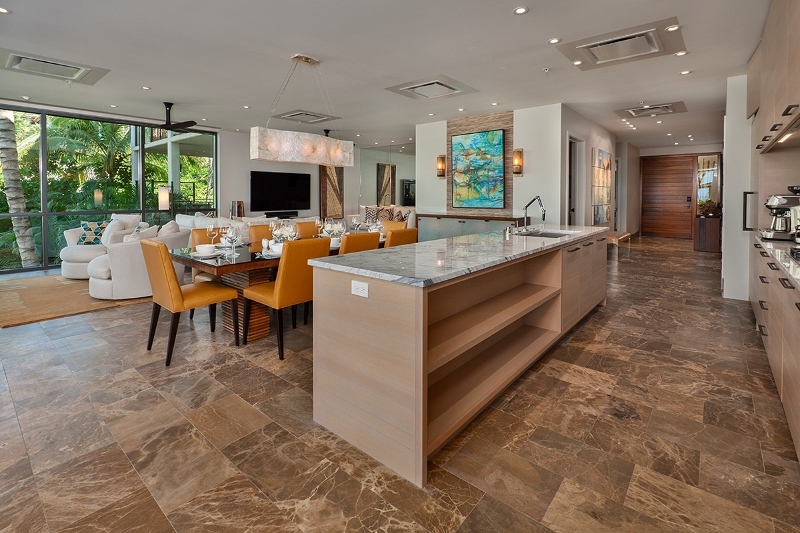 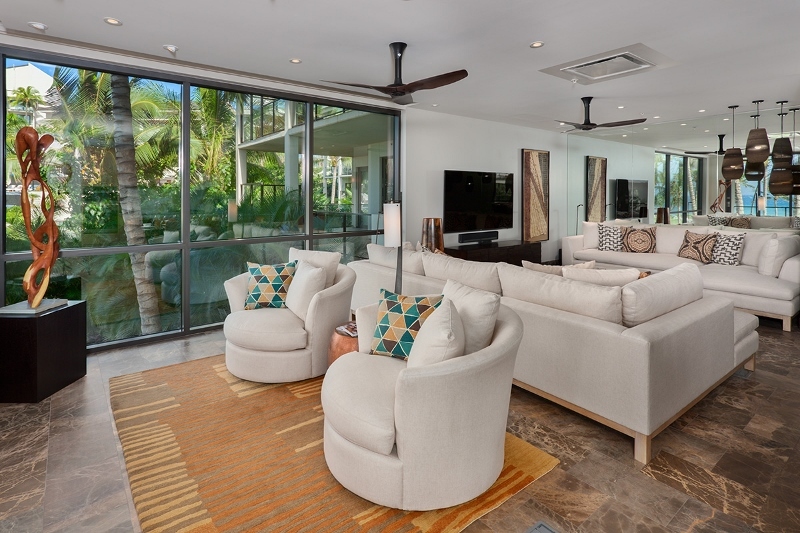 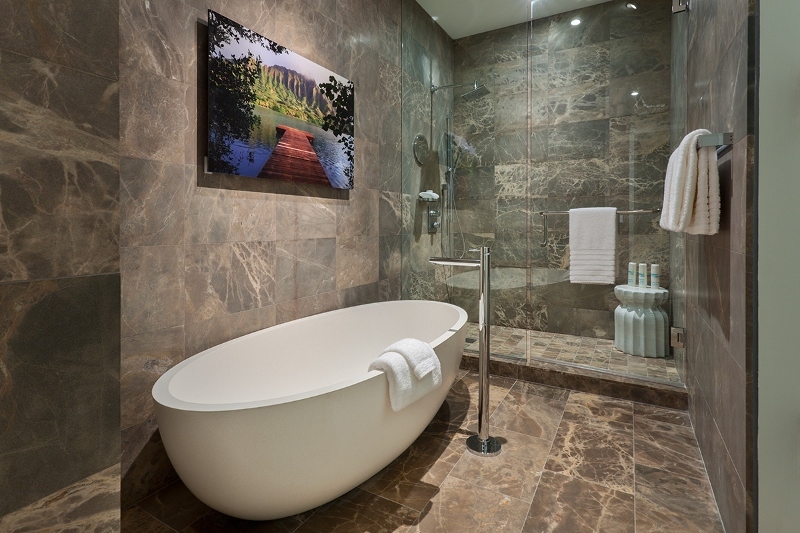 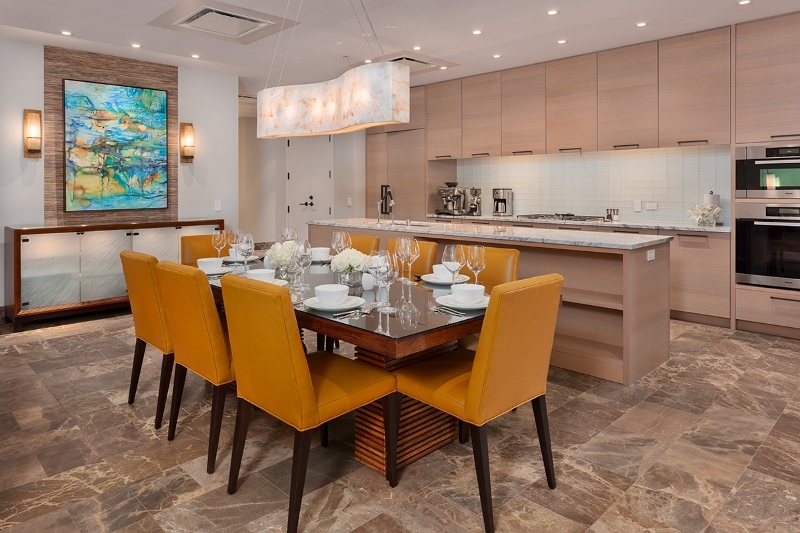 This contemporary home provides more than 3,000 square feet of indoor and outdoor living space, 3 tranquil and uniquely decorated bedroom suites each with a full en-suite bath, great room, a spacious kitchen with butler’s pantry, and convenient access to the beach and pools. 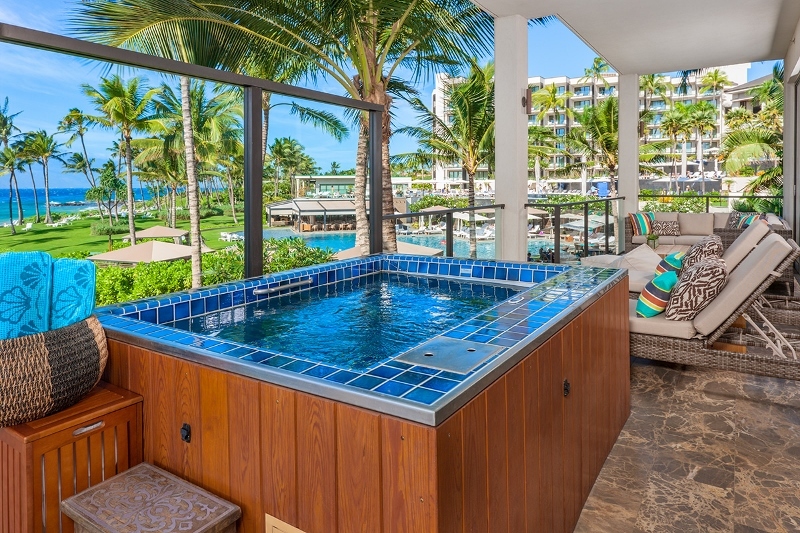 Guests also have use of their very own outdoor covered patio with Viking gas grill, private hot tub on the patio, and outdoor dining and lounging furniture. 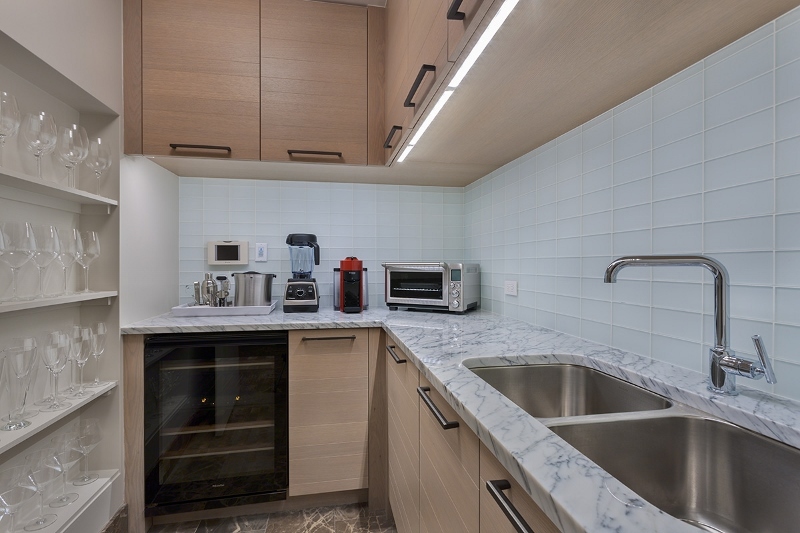 The kitchen is generously equipped as if it was in a private home. 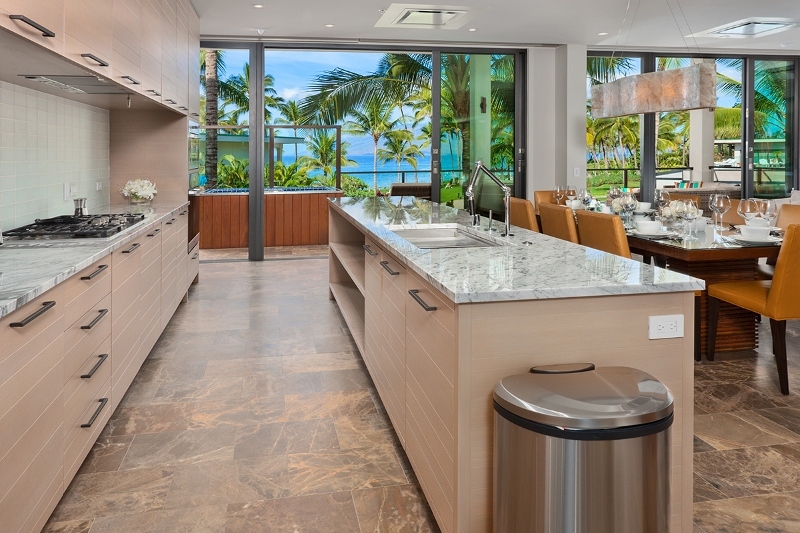 You can expect to have use of a wide array of cooking, dining and serving inventory for 8 guests, dual coffee makers, an Espresso machine, Vitamix blender, griddle, rice cooker, waffle maker, crystal barware, cook books and much, much more. 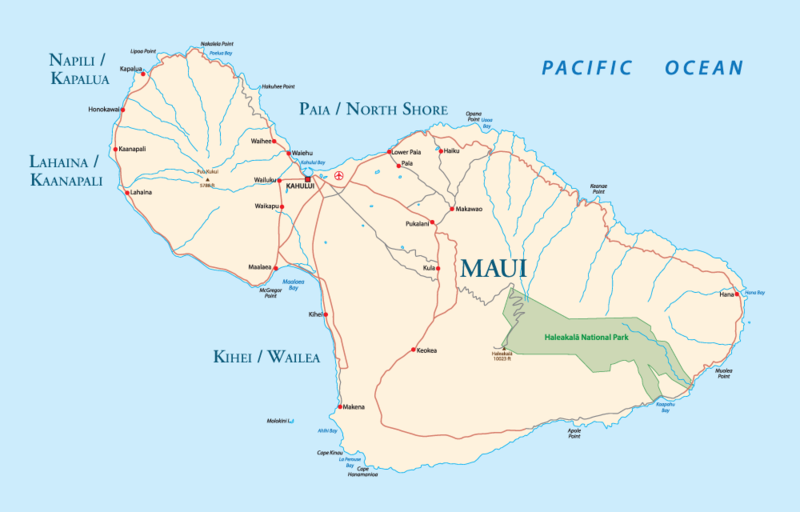 4 varieties of local Maui roasted coffee (espresso beans, dark, regular and decaf) are stocked in 8 ounce bags, fresh for each arrival with real coffee creamers, non-dairy creamer, sugar/sweetener packs and quality tea bags. 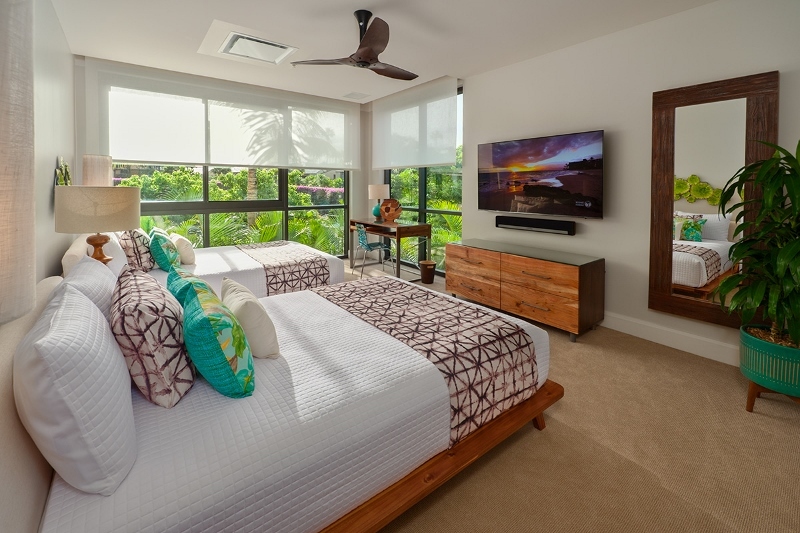 Additional enhancements include Kaleidescape movie player system in the Great Room and Master bedroom, HD Cable boxes with HBO and Showtime, surround sound, Apple TVs, unlimited Netflix and Hulu, Xbox One, Pandora Radio, and Internet on the Bedroom Televisions via a new “state-of-art” TV. 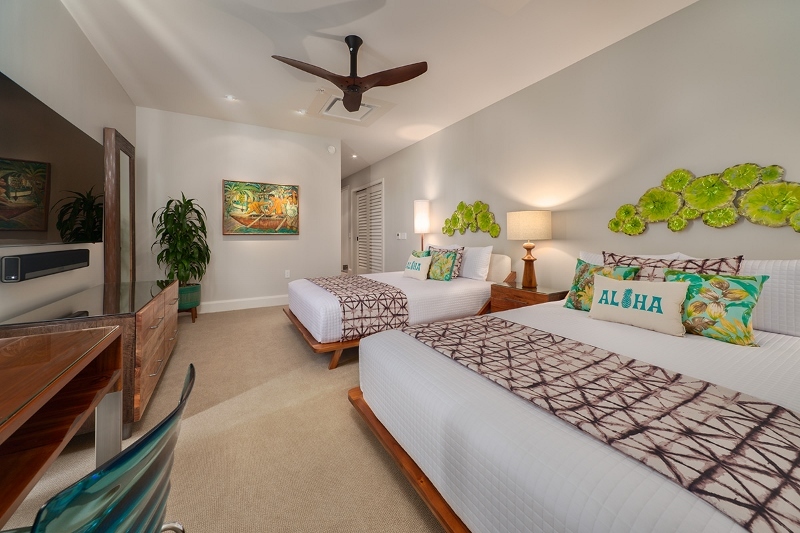 The 3 generously sized bedroom suites have a California King bed in the ocean view Master, an Eastern King bed in the 2nd bedroom, and 2 Queen beds in the 3rd bedroom. 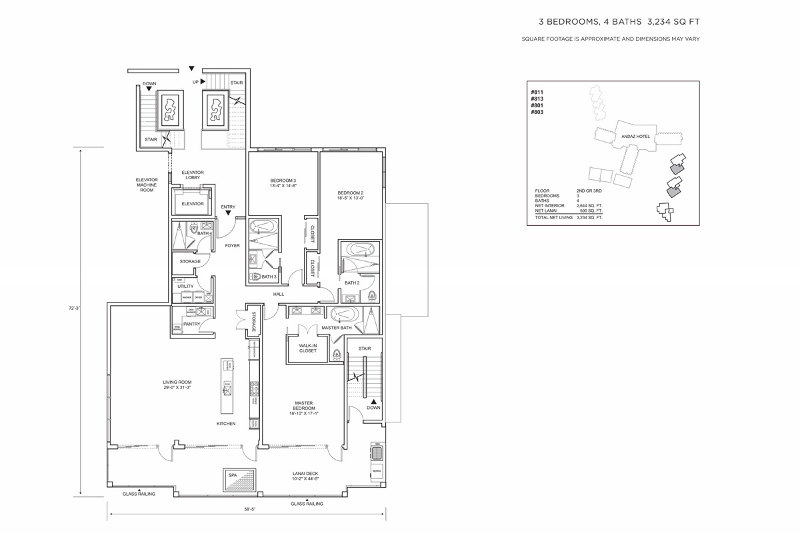 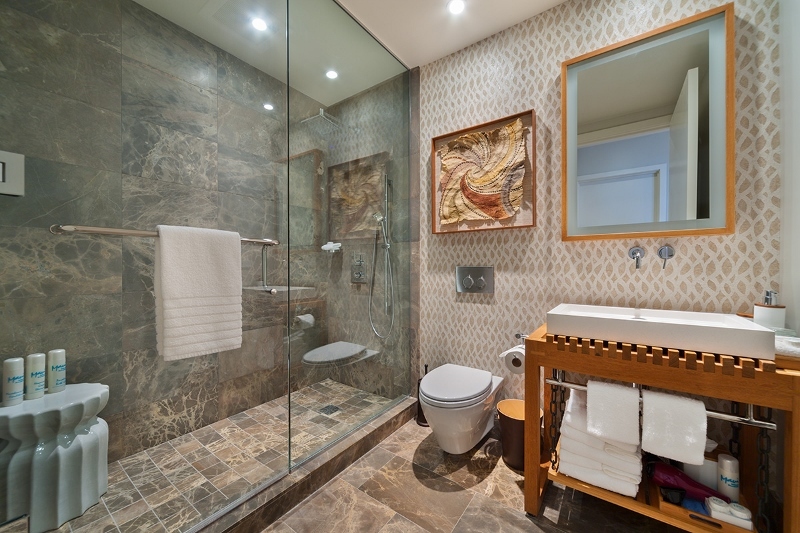 SeaSpirit has 3 full en-suite bathrooms plus a powder room full bath with shower. 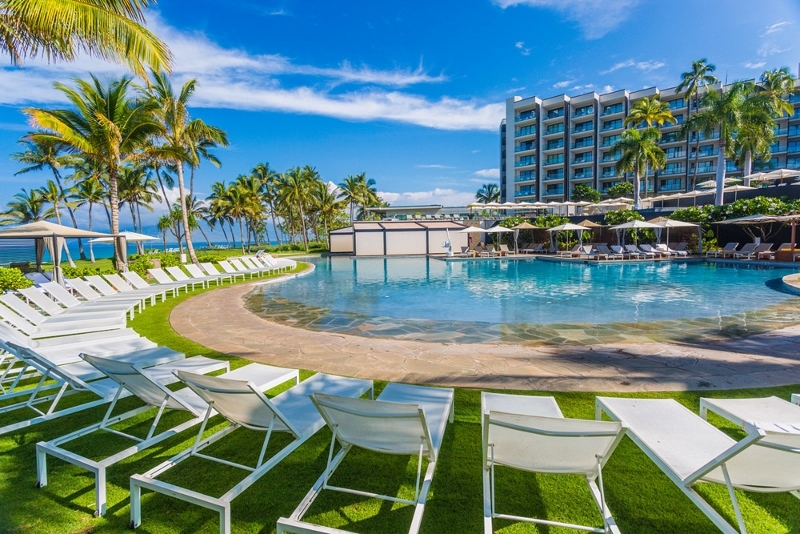 The Andaz Maui at Wailea Resort is situated within the 15-acre beachfront Andaz Maui at Wailea Resort on Maui Island’s leeward shore. 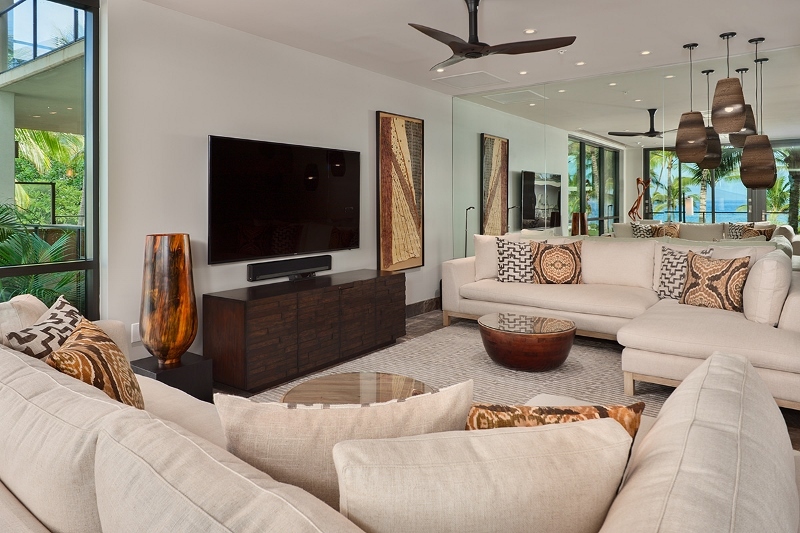 Guests of SeaSpirit Villa 811 will enjoy full access and charging privileges to all of the resort’s facilities and services, including Room Service, Cabana rental (fee based), 3 cascading infinity-edge heated swimming pools, a lagoon pool and separate adult pool, poolside lounge chairs (first come, first serve), resort hot tub, 24-hour fitness center, the 14,000-square-feet ‘Awili Spa and Salon, and multiple dining options. 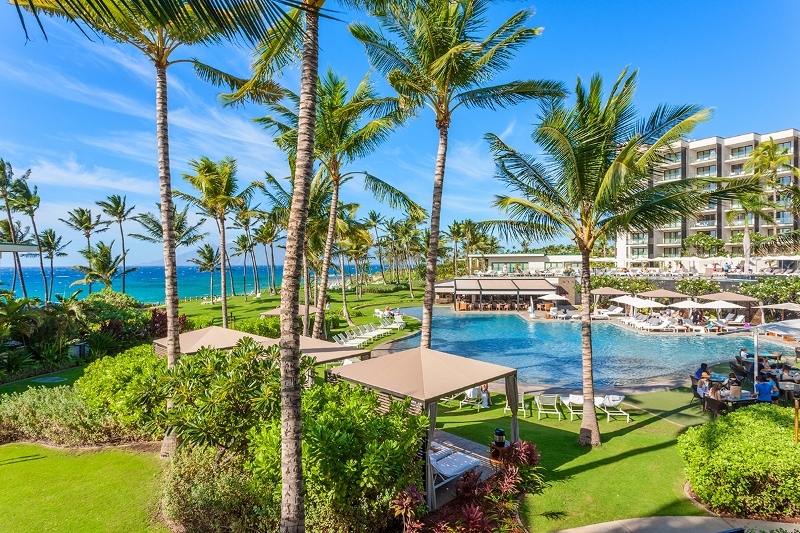 Complimentary cultural activities are offered on-site including Ti-leaf lei making, hula lessons, ukulele lessons, coconut leaf weaving lessons, Portuguese horseshoes, and more! 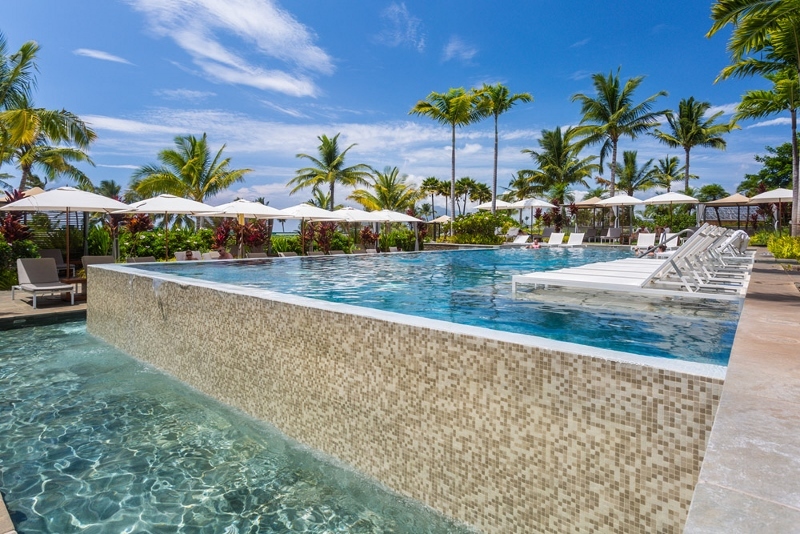 Each guest reservation is subject to a daily resort fee of $45 per night. 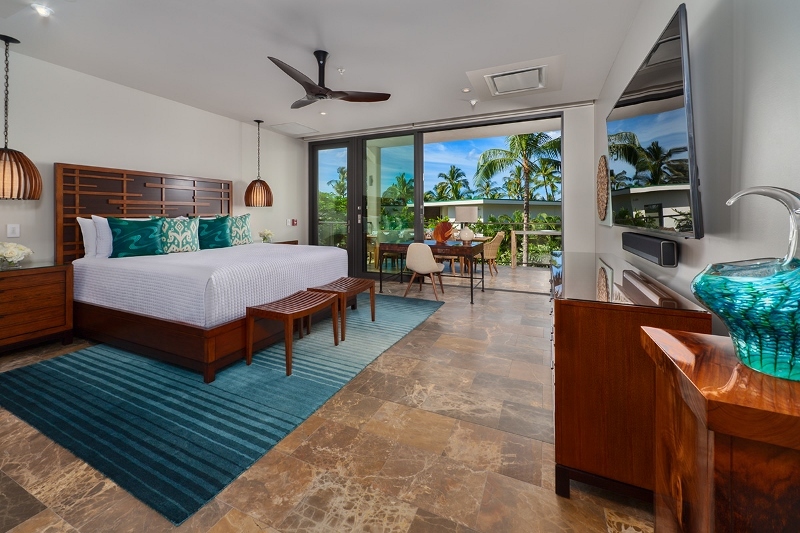 This fee will be collected direct from guests at the Andaz Maui front desk – upon arrival and registration. 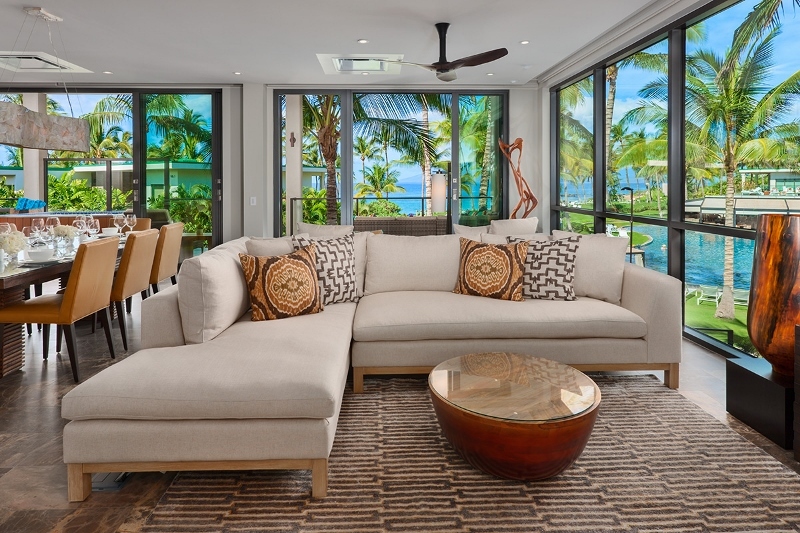 The daily resort fee is charged to all guests of the resort, including guests in both villas and hotel rooms. 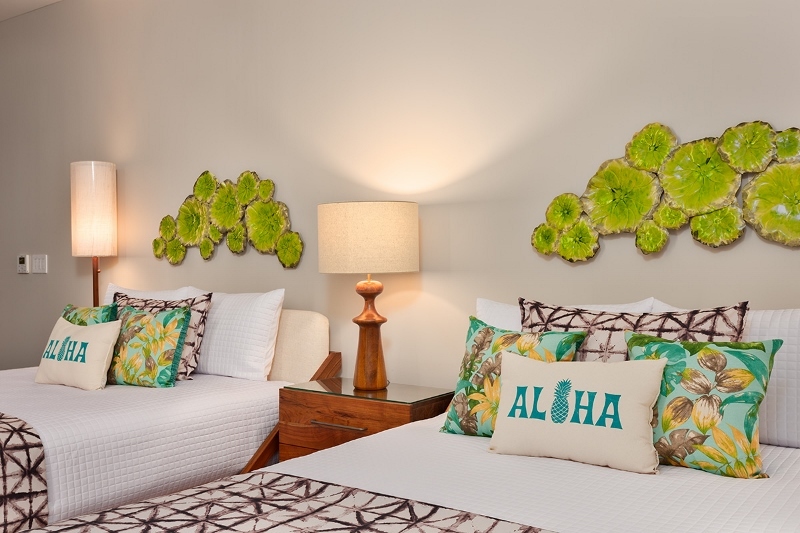 This fee covers various guest services and amenities available throughout the resort. 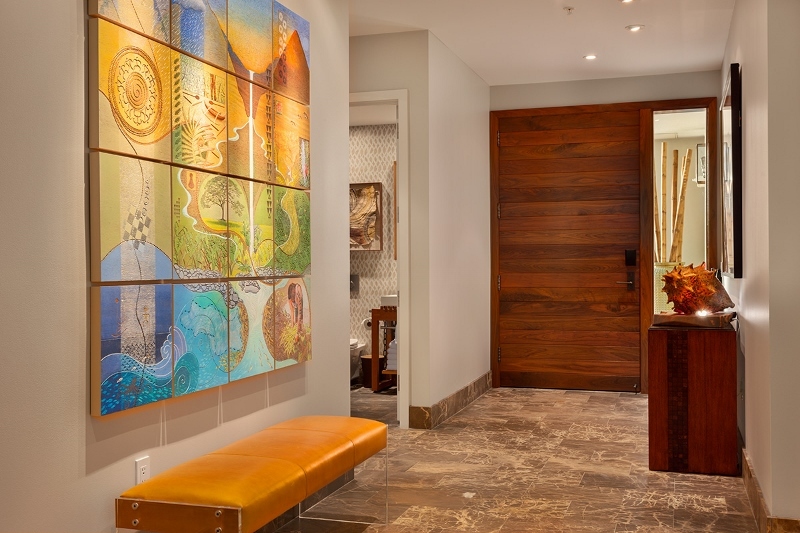 Please inquire about full list of services and amenities. 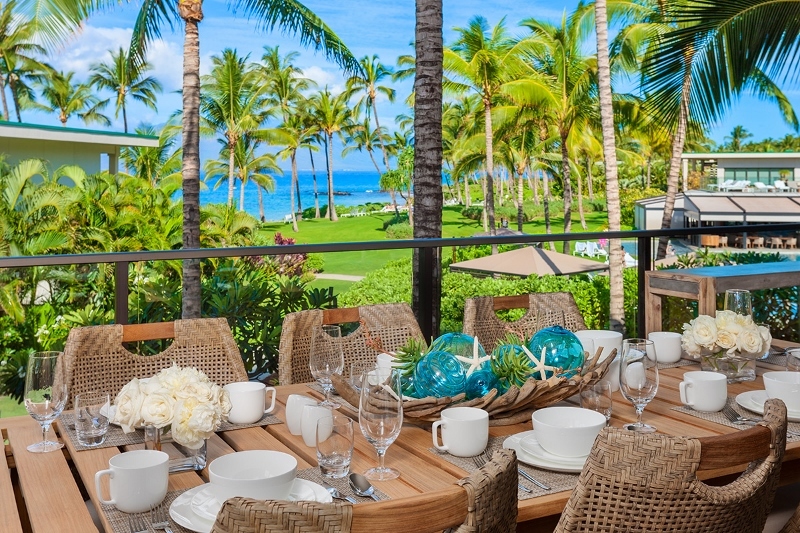 Each guest reservation includes valet parking for the first vehicle, any additional vehicles will be subject to the $35 per day valet parking charge. 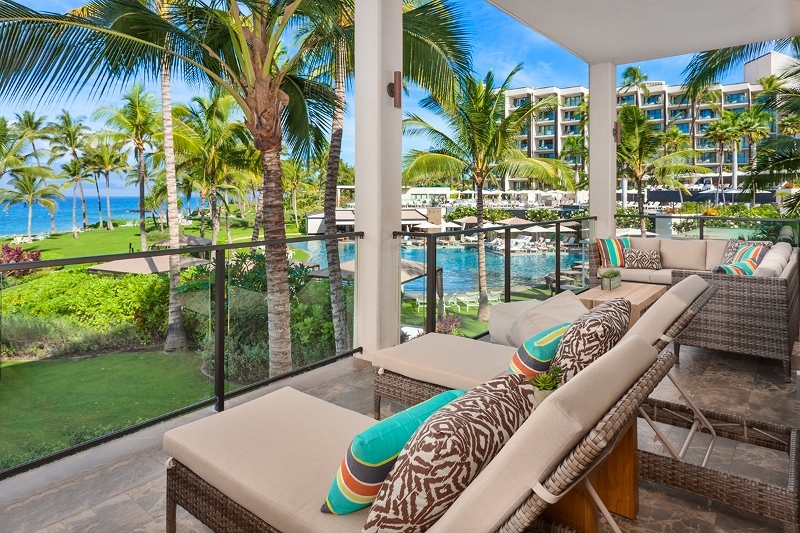 There is no self-parking at Andaz Maui at Wailea Resort. 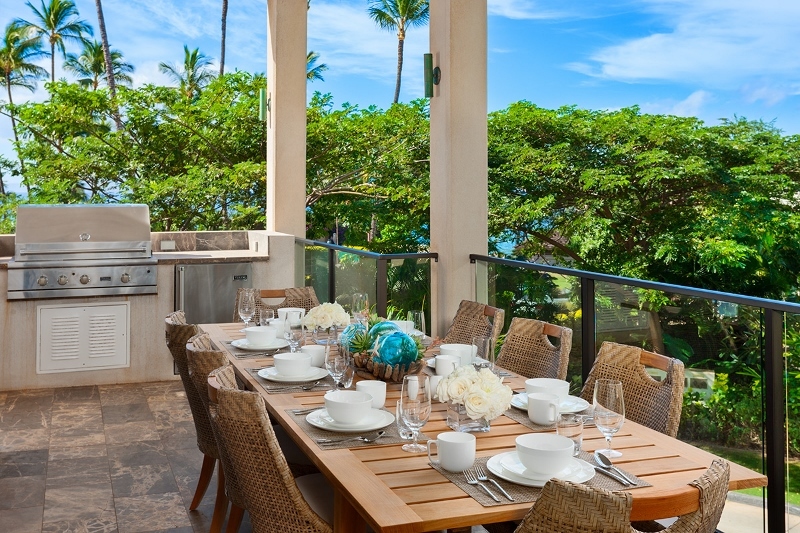 We would like to suggest that guests rent one large vehicle vs. multiple vehicles to save on the valet parking fee.